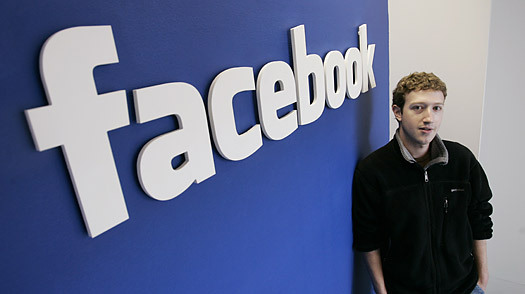 Behold the two faces of Facebook: It’s such a smart young company. It’s such a slow learner. Both faces peeked out from the wreckage of the privacy imbroglio that wracked the social-networking site this week. Yes, it was asinine, a tempest in a teapot, but it underscored a more fundamental problem that continues to plague Facebook  the world’s most popular social network is simply not learning from its mistakes. Quick recap: Earlier in the month, Facebook changed its users’ terms of service so that “the Company may retain archived copies of your User Content.” A consumer-rights blog sounded an alarm last weekend, sparking a protest among users who interpreted the move as insidious. Facebook, they said, would now own, forever and for always, all the deeply private and personal stuff you upload to Facebook to share with the whole world  even the pictures of your dog Muffy! “Facebook owns you!” critics cried. A few even went so far as to cancel their free accounts. On Monday, Facebook founder and CEO Mark Zuckerberg responded on his company blog, explaining that the change was needed to ensure that stuff like Wall posts and internal messages would remain intact even after someone quits the service. This would make sense  you don’t want gaps in interuser communications. But rather than mollify the masses, the explanation inflamed them. So today, Zuckerberg recanted and said Facebook was reverting the TOS to its original language and would continue to study the situation. He also launched a Facebook group, soliciting user feedback on how best to handle the situation and help establish a users’ Bill of Rights. critically important-to-the-future country apt, the reality is that Facebookland is not a constitutional democracy; it’s a benevolent dictatorship. And that’s why it keeps making the same mistakes. broadcasting users’ activities on third-party sites via newsfeeds. Then next day, a hue. A cry. Followed by a Zuckerberg recant on the company blog. Businesses are not democracies, nor should they be. Sometimes the boss needs to make hard, unpopular decisions that may even drive away some customers. But that wasn’t the case with either Beacon or this latest hoo-ha. Both were avoidable mistakes. nice idea, but Facebook could go much further and easily create a massive advisory board  tens of thousands of people strong  who would be only too happy to vet ideas before their implementation. Facebook is a wonderful public experiment in social networks. But it needs to do a much better job of utilizing its own internal connections.